Structure Checker is part of the Marvin package that contains various ChemAxon products. To learn more about our other products in Marvin, click here. 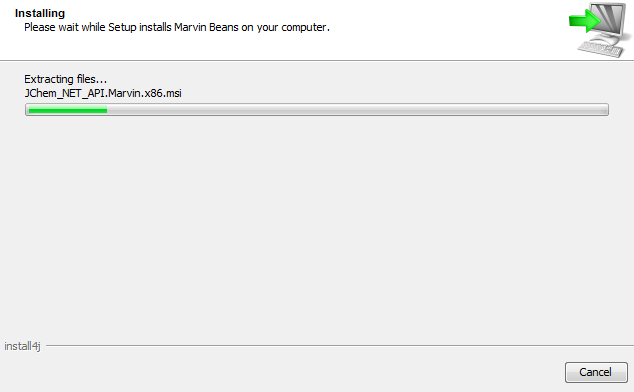 In order to download the Marvin package go to www.chemaxon.com and select Marvin from the Download menu. 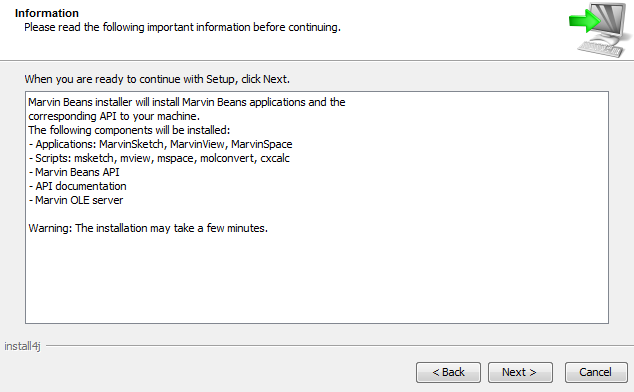 Click on Marvin for end users and JAVA developers and download the proper Installer to your computer (see the Install Guide for details on choosing the installer). After the download is completed, run the Installer on your computer. 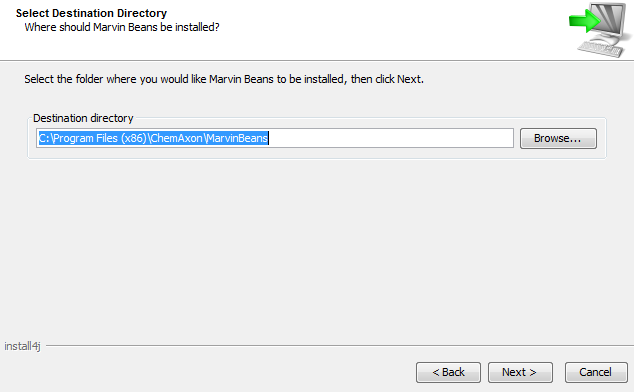 Click Next and read the appearing information that draws your attention to closing all Marvin and Instant JChem applications as well as MS-Office documents containing embedded Marvin objects. On the next screen, you can read the License Agreement. Accept this agreement if you want to continue. 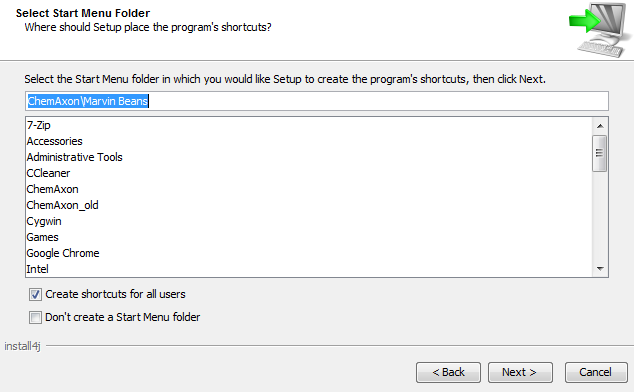 Then you can select the components you would like to install on your computer. 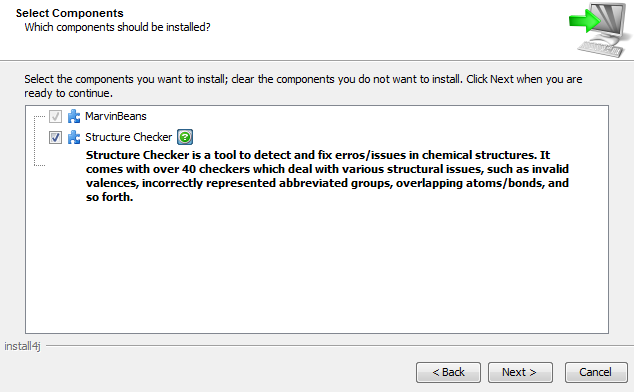 For installing Structure Checker as a standalone application, keep Structure Checker selected. If you deselect this component, Structure Checker will only be available on your computer through MarvinSketch StrCh. 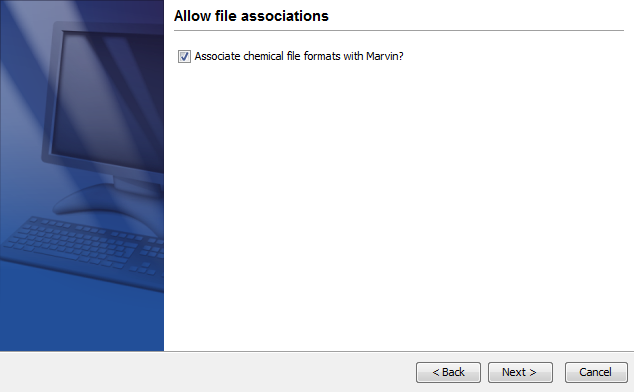 In the next step, you can associate file formats in Marvin. If you select this option, specified structure files will be opened in MarvinSketch. 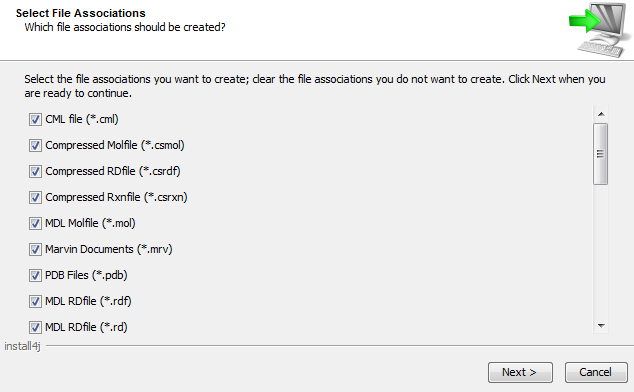 File associations to be created can be selected on the next screen. 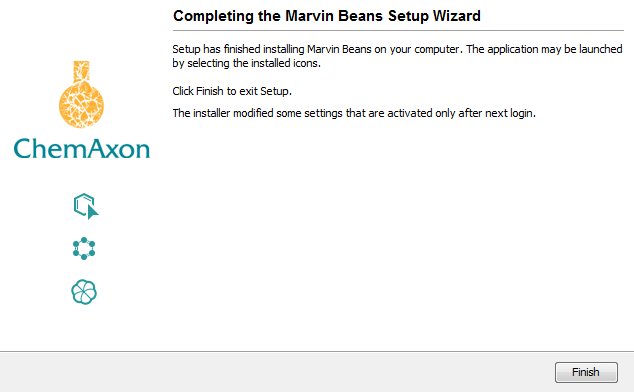 As an additional task you can create desktop icons for Marvin applications. Components to be installed can be reviewed prior starting the installation process. 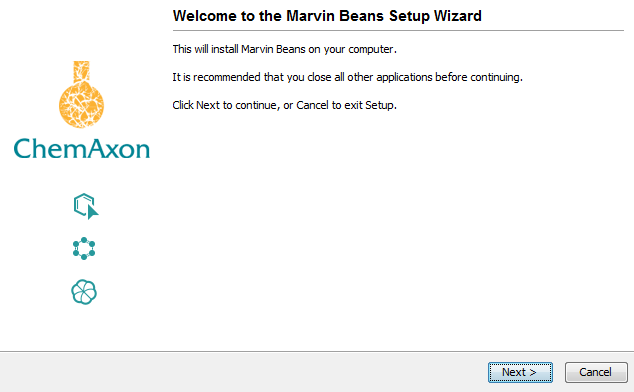 Then Setup installs Marvin on your computer. The installation may take a few minutes. Now you are ready to start the Structure Checker application by double-clicking on the appropriate icon (!) on your desktop.